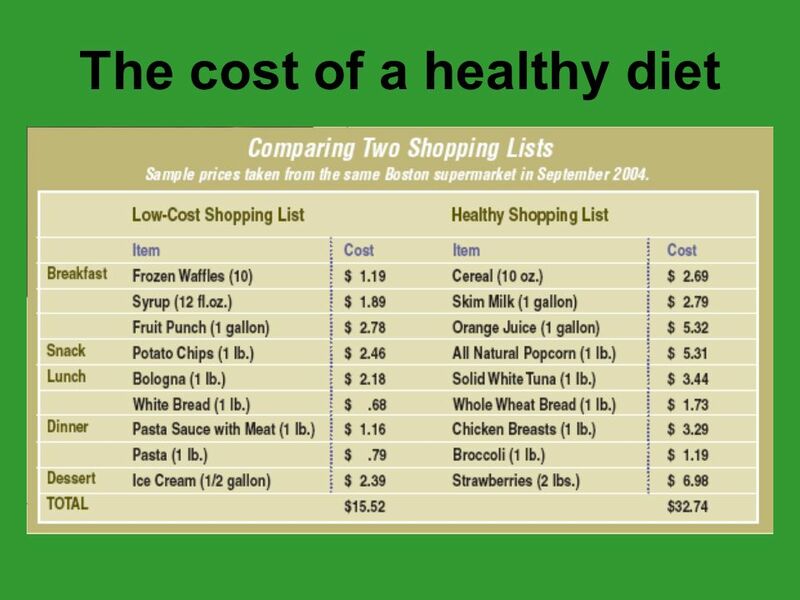 Where do we buy our food? 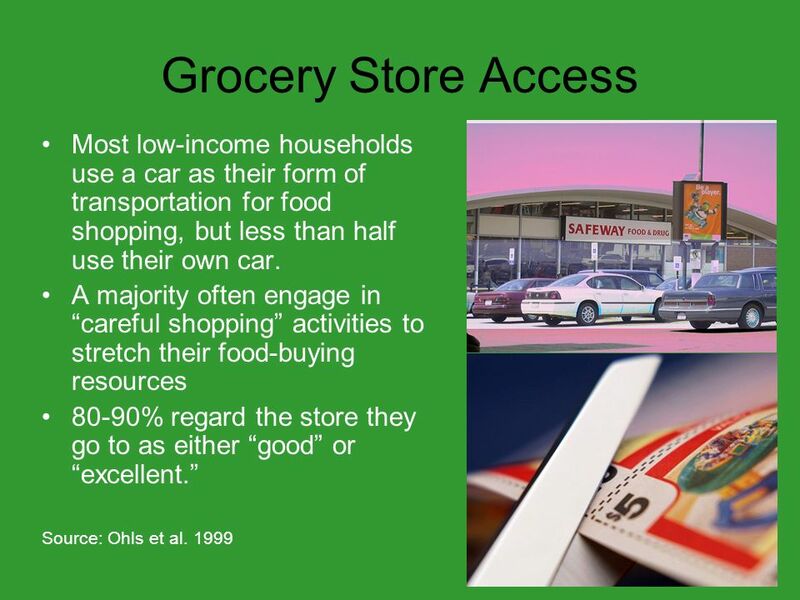 : Food retail and access Food Guardian Training February 8, 2010. 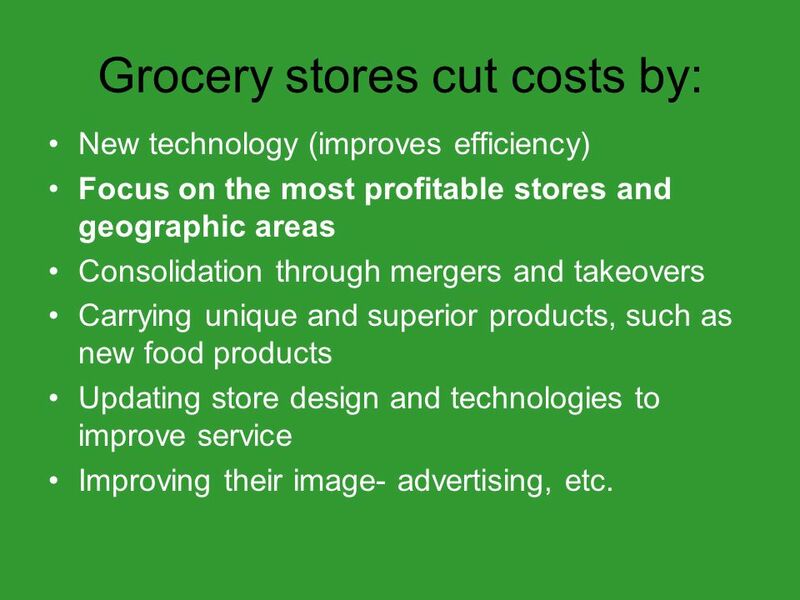 3 Grocery stores cut costs by: New technology (improves efficiency) Focus on the most profitable stores and geographic areas Consolidation through mergers and takeovers Carrying unique and superior products, such as new food products Updating store design and technologies to improve service Improving their image- advertising, etc. 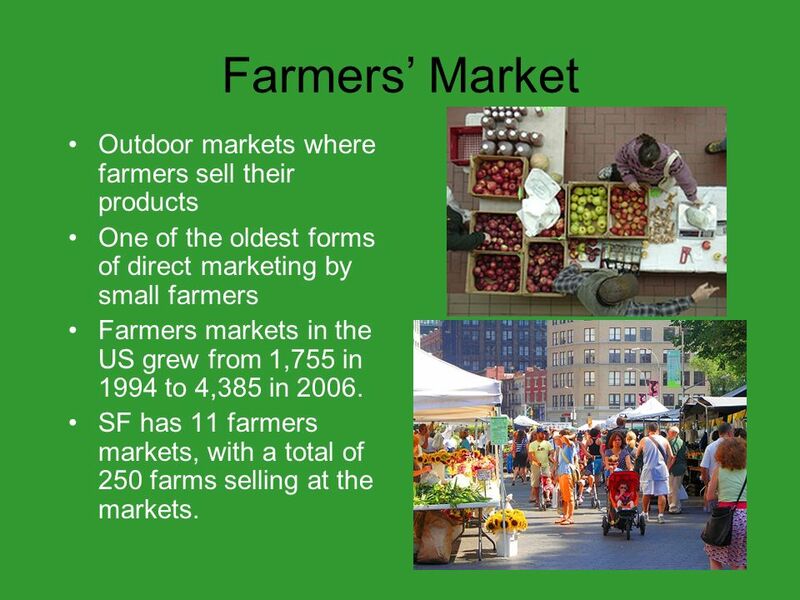 19 Farmers Market Outdoor markets where farmers sell their products One of the oldest forms of direct marketing by small farmers Farmers markets in the US grew from 1,755 in 1994 to 4,385 in 2006. 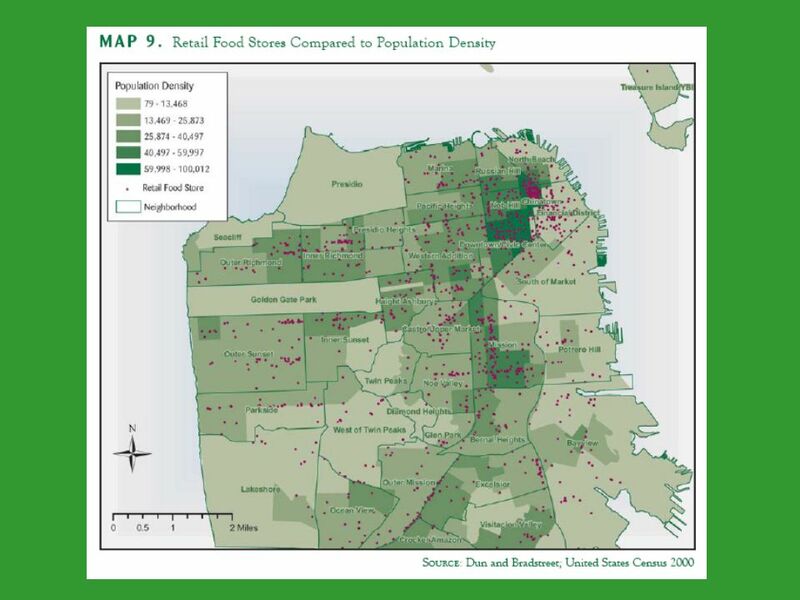 SF has 11 farmers markets, with a total of 250 farms selling at the markets. 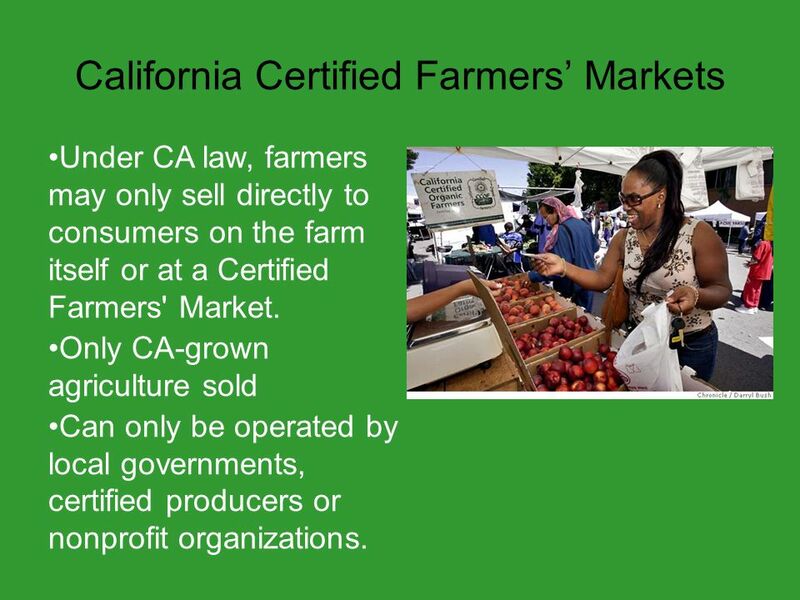 21 California Certified Farmers Markets Under CA law, farmers may only sell directly to consumers on the farm itself or at a Certified Farmers' Market. 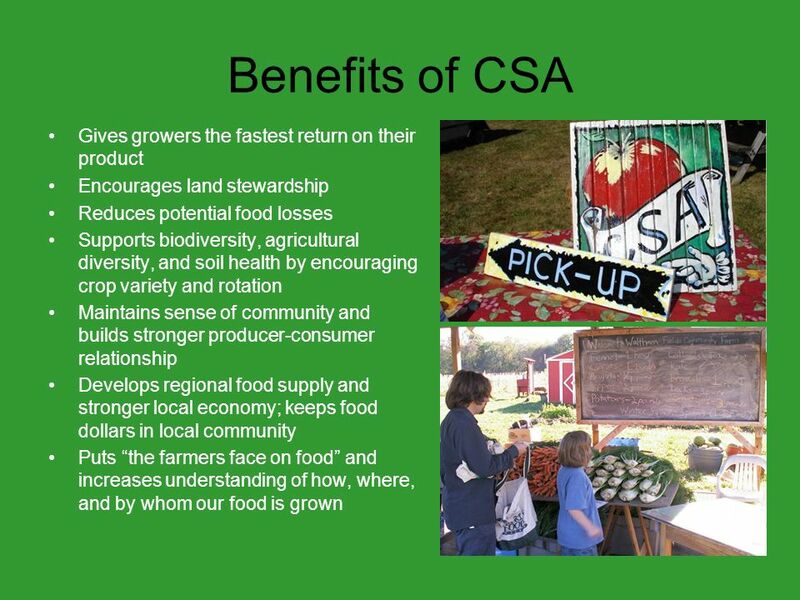 Only CA-grown agriculture sold Can only be operated by local governments, certified producers or nonprofit organizations. 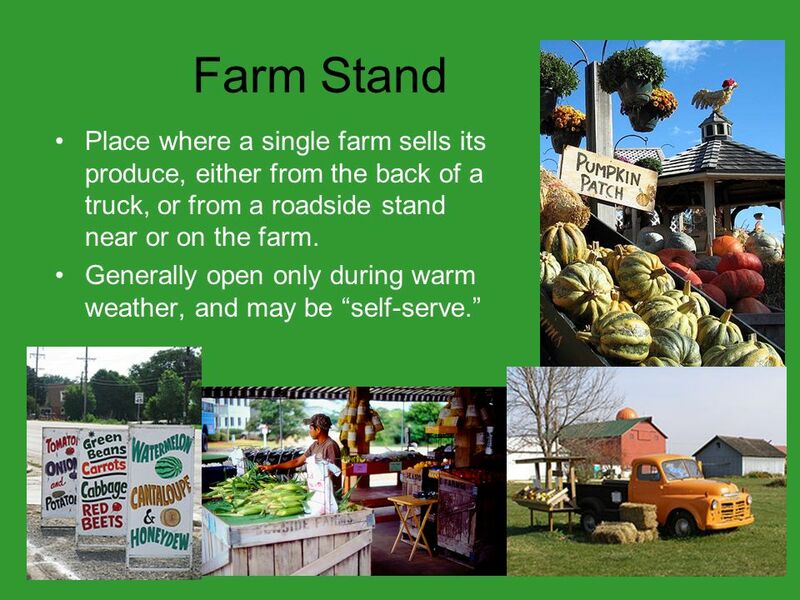 23 Farm Stand Place where a single farm sells its produce, either from the back of a truck, or from a roadside stand near or on the farm. Generally open only during warm weather, and may be self-serve. 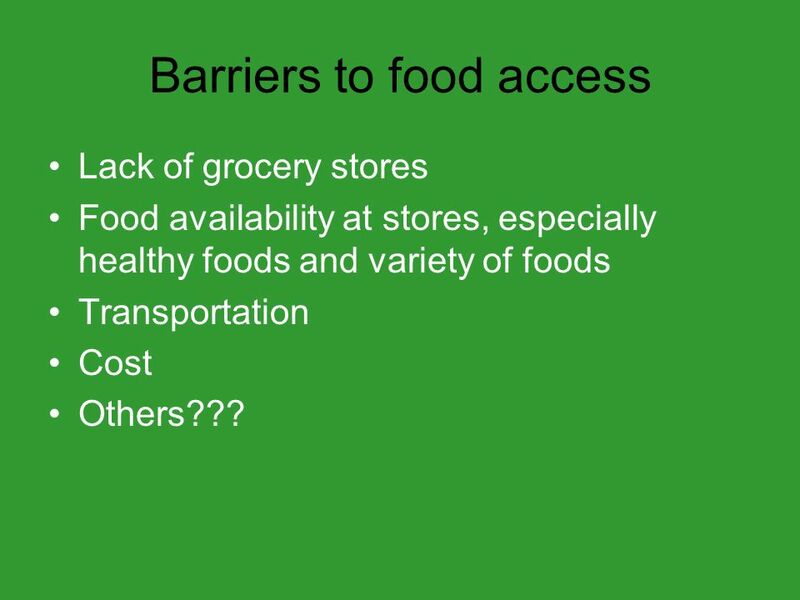 26 Barriers to food access Lack of grocery stores Food availability at stores, especially healthy foods and variety of foods Transportation Cost Others??? 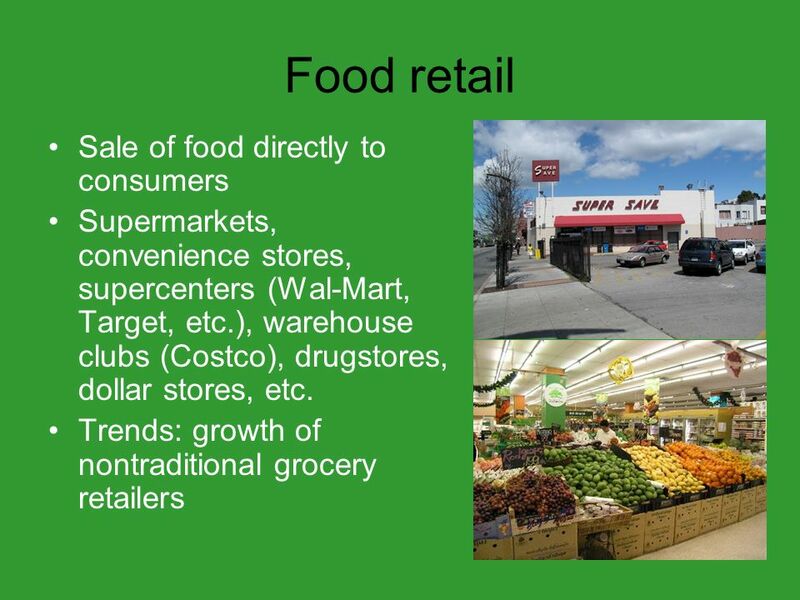 Download ppt "Where do we buy our food? 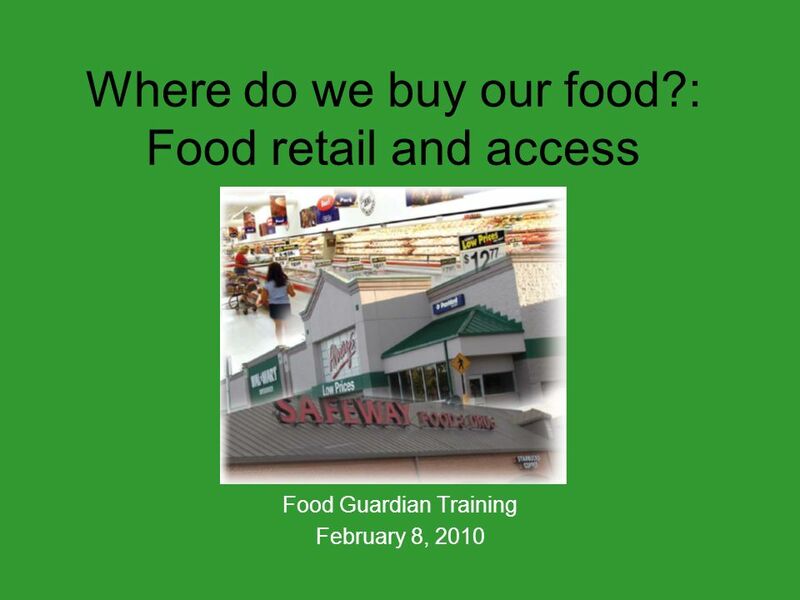 : Food retail and access Food Guardian Training February 8, 2010." 1. 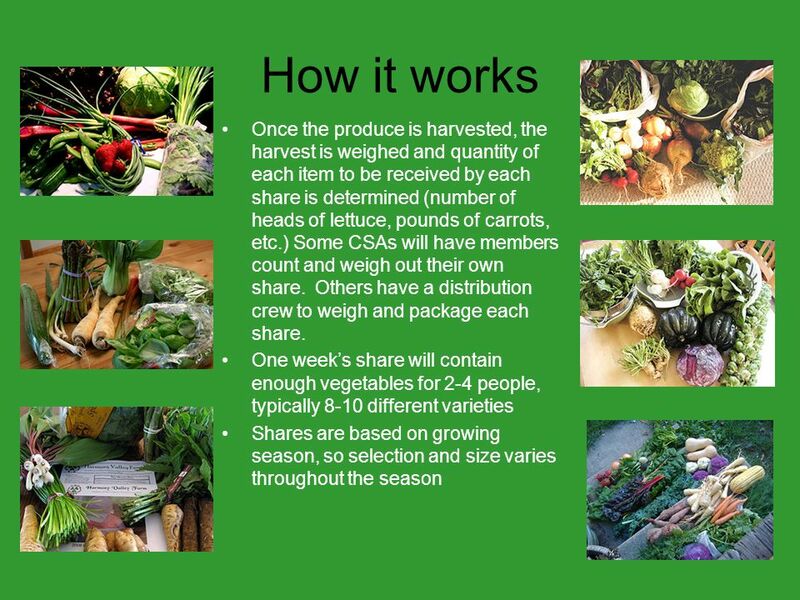 2 Our Mission City Harvest exists to end hunger in communities throughout NYC. 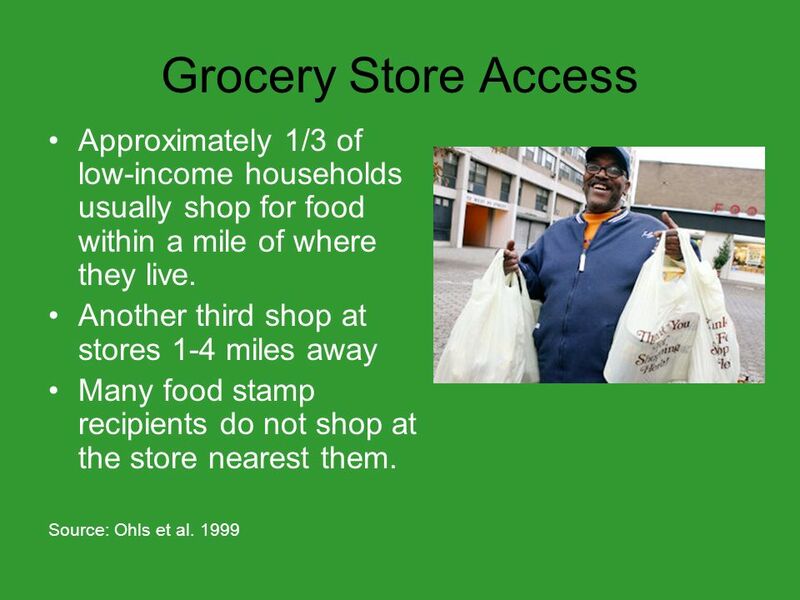 We do this through food rescue and distribution, education and other. 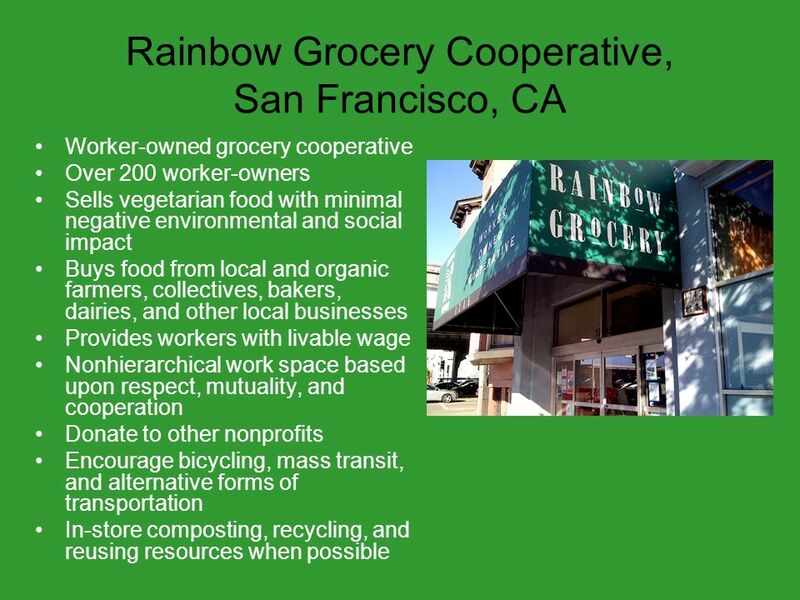 Strategies for Supporting Sustainable Food Systems Session 6. 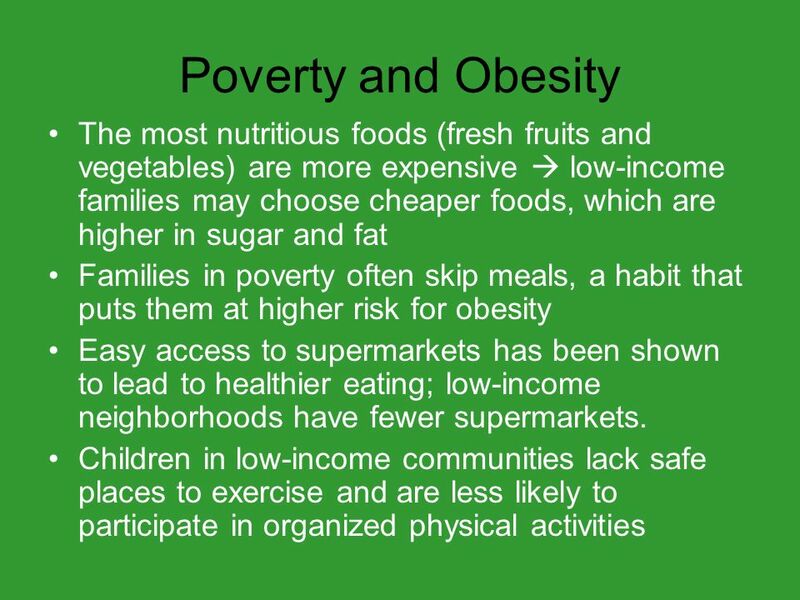 LESSON 1: FOOD GLORIOUS FOOD DIFFERENCES BETWEEN FOOD SYSTEMS. 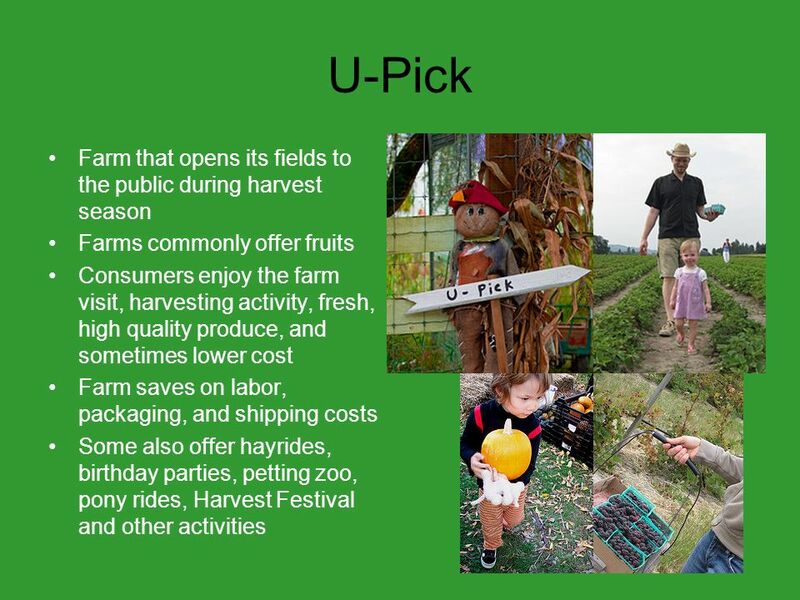 Horticultural Marketing Wen-fei Uva Senior Extension Associate Department of Agricultural, Resource, and Managerial Economics Cornell University October. 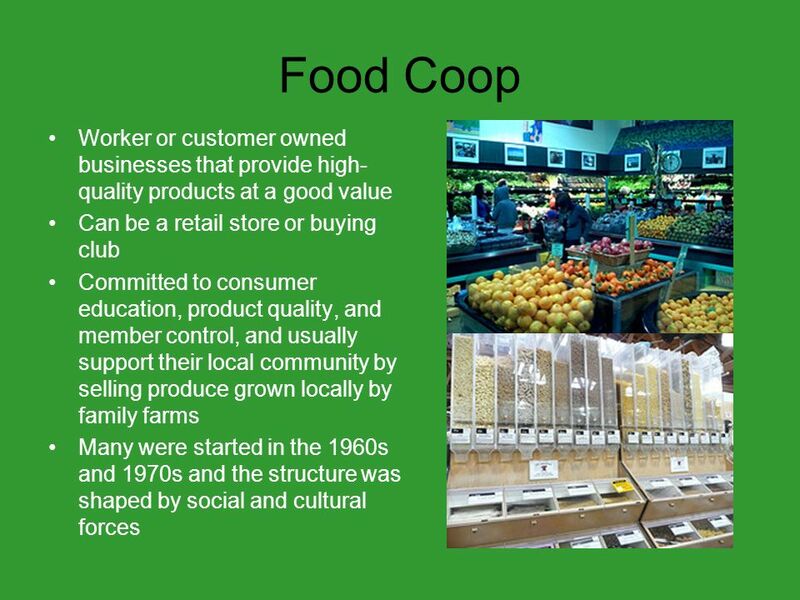 Implement Policies that Promote Production and Consumption of Local Foods. 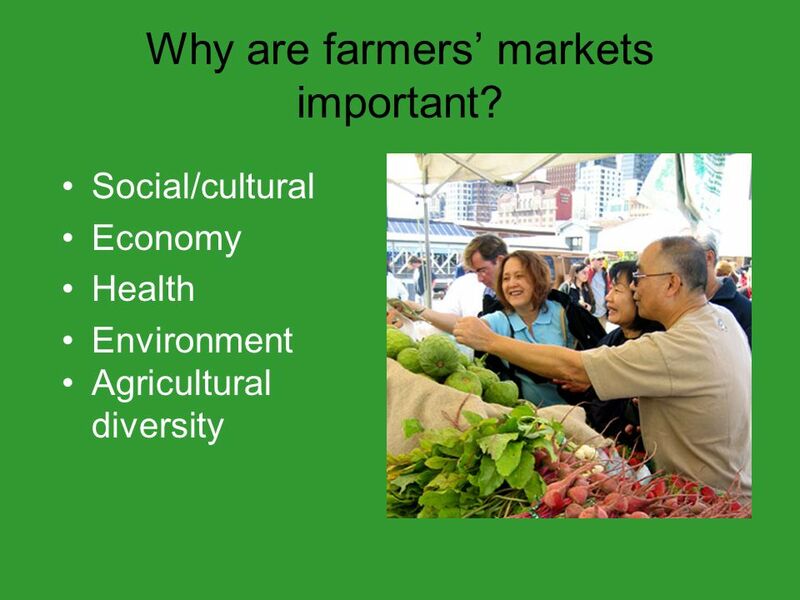 Business and Agriculture Vision People understanding the relationship between agriculture and nutrition People understanding the relationship between agriculture. 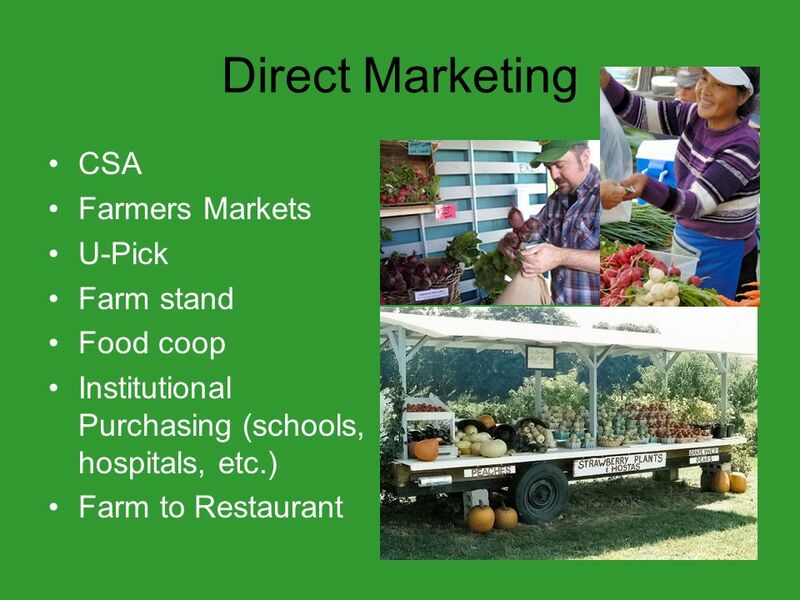 Growing Food, Growing Community, Community Supported Agriculture In Rural Iowa Betty L. Wells and Rhonda Yoder. 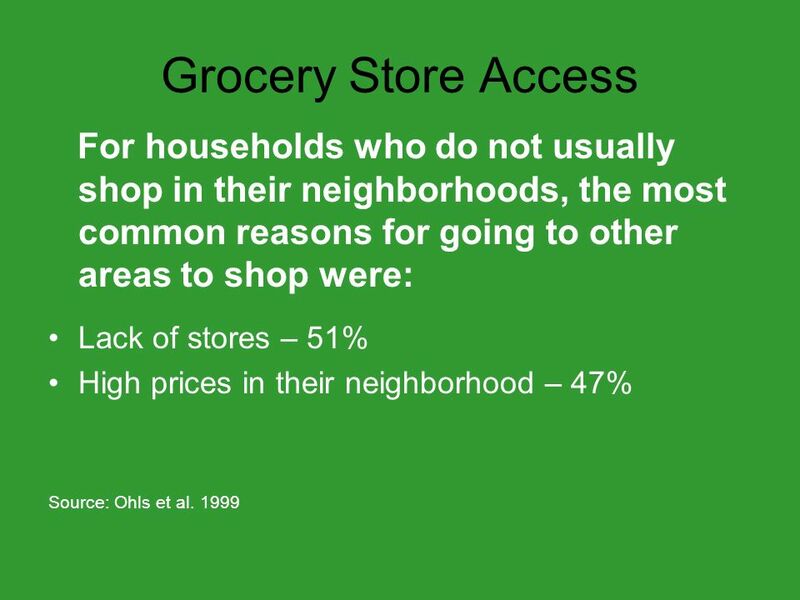 Chapter 42 Wal-Mart: Always Low Prices (and Low Wages)— Always Copyright © 2010 by The McGraw-Hill Companies, Inc. All rights reserved.McGraw-Hill/Irwin. New Directions in Alabama Agriculture: Niches, Chains, and Relationships Joseph J. Molnar Agricultural Economics and Rural Sociology Auburn University. 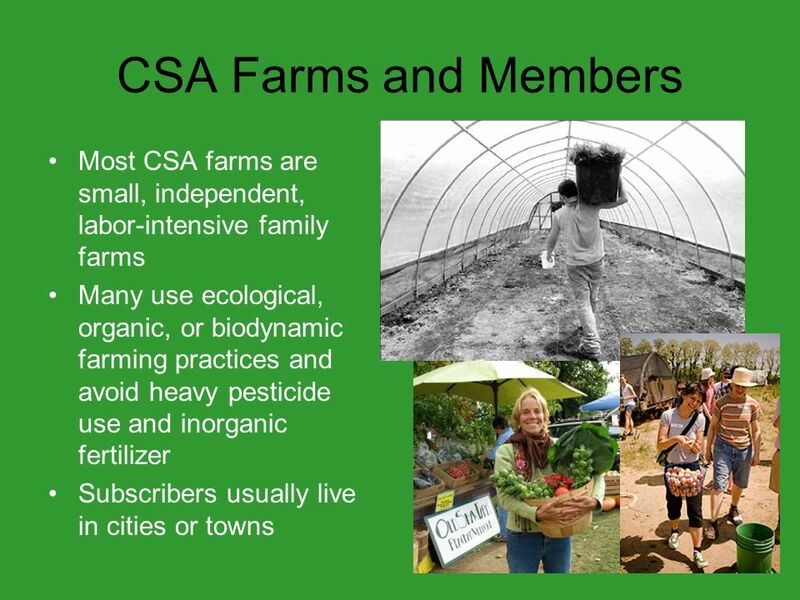 Organic and Local - Why Does It Matter? Mary Upham Outreach and Education Coordinator. 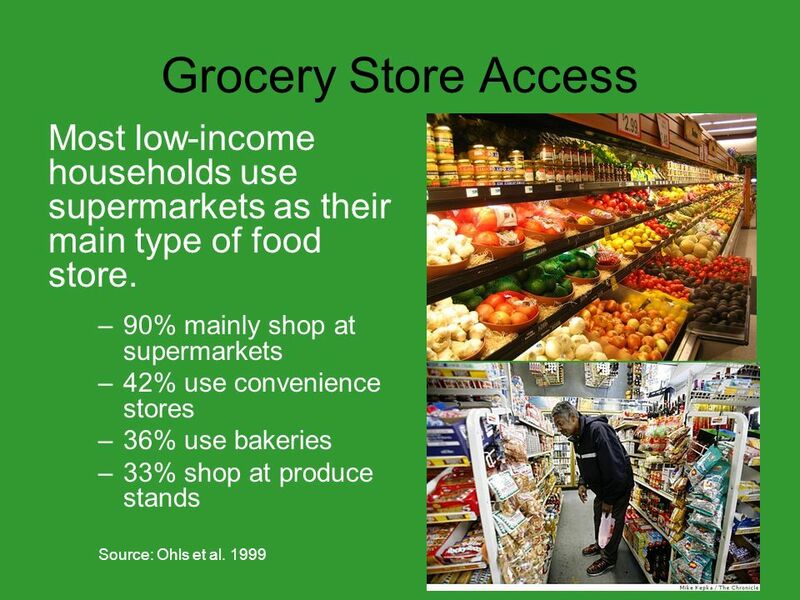 Farm to Grocery Store Increasing the Sale of Connecticut Grown Produce in Local Grocery Stores. 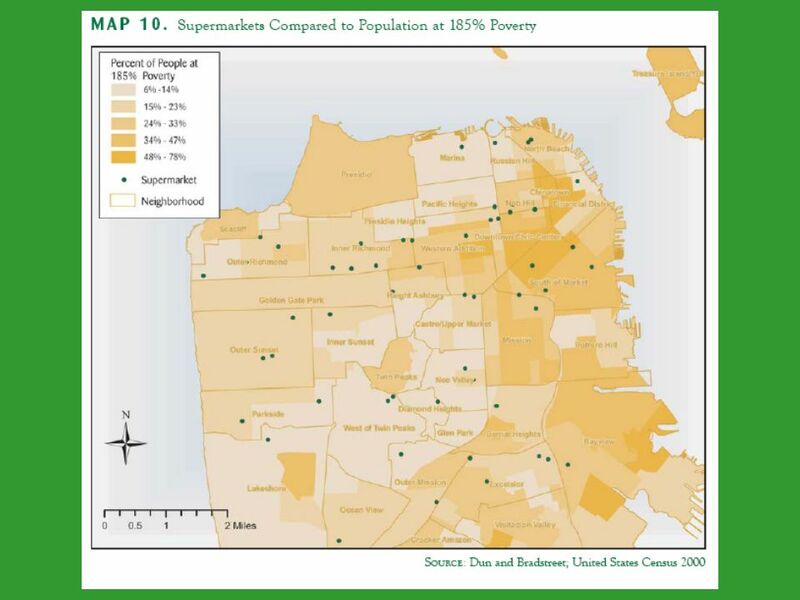 Supervalu America’s Neighborhood Grocer. 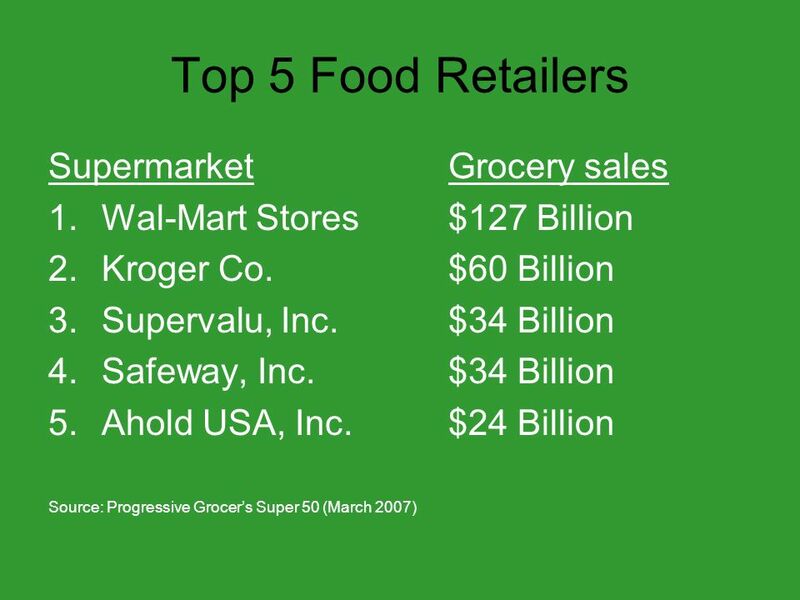 ▪ “One of the Largest companies in the United States Grocery Channel” (Annual Report 5). 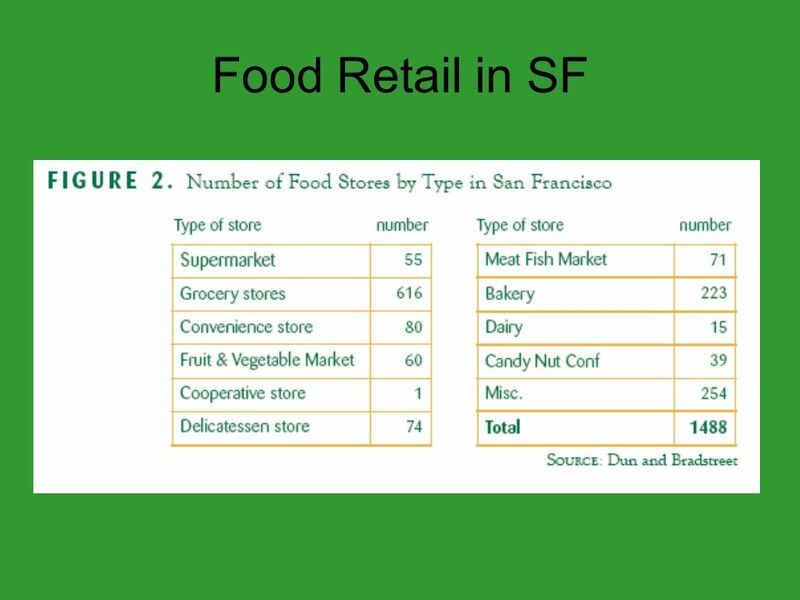 ▪ Retail Food →”Total. Farming for a Paycheck New Methods of Farming. 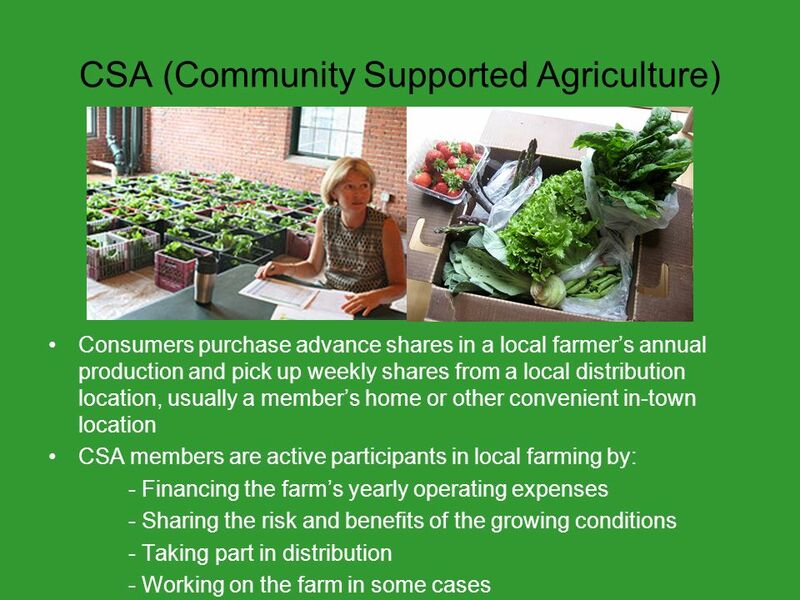 CSA Community Supported Agriculture  Individual members buy shares in the farm in the winter and early.